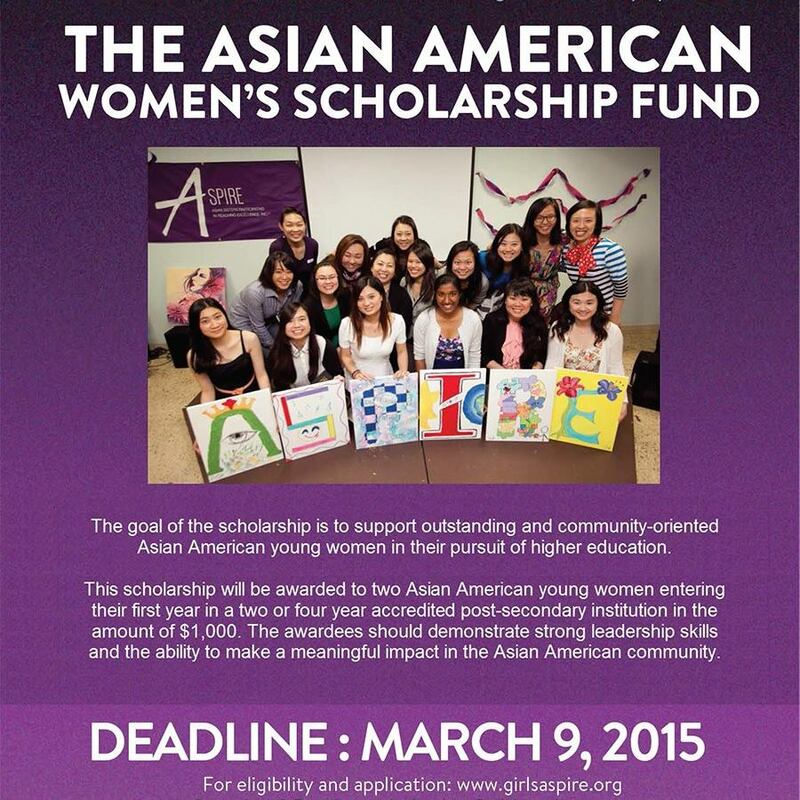 GK is proud to help fund ASPIRE’s Asian American Women’s Scholarship which supports outstanding and community-oriented Asian American young women in her pursuit of higher education. This scholarship will be awarded to an Asian American young woman entering her first year in a two or four year accredited post-secondary institution in the amount of $1,000. Deadline to apply is MARCH 9, 2015!